As a group of people the houses of Pure France are very nice and also affordable. BEAUMES-DE-VENISE. A village known for its sweet Muscat wine and red wine. It lies close to the mountain chain Dentelles de Montmirail. 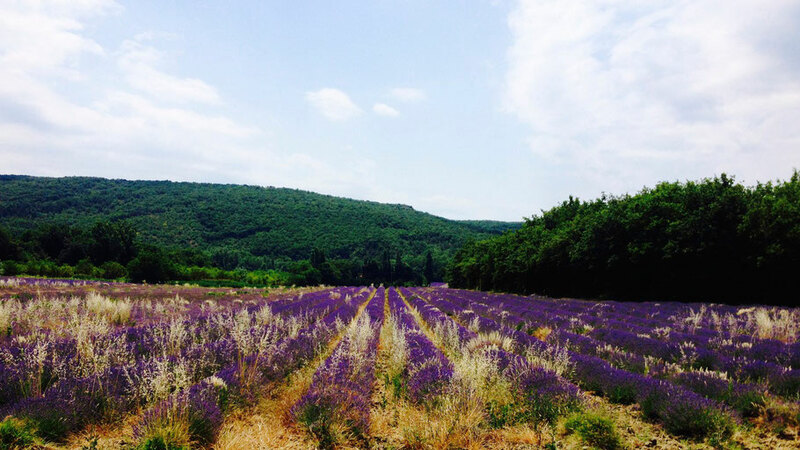 BEDOIN: A village close to Mont Ventoux with a nice market selling food and souvenirs – such as bags filled with lavander or soap from donkey milk. AVIGNON. The ancient town centre is very idyllic and of course it is worth to take a look at the famous bridge Saint-Bénézet – with only 4 of its 22 arches left. CHÂTEAUNEUF-DU-PAPE. Village of the famous red (and also white) wines. In caves and stores you can taste and buy bottles within a wide price range. GORGES ARDECHE. You can try canoeing along the river Ardeche through the canyons and pass by under the large natural bridge called Pont d‘Arc (close to the village Vallon-Pont-d‘Arc).